I found that idea heartening and something to embrace. The English did not see themselves as White, only as English. The colony was founded by a Corporation with a Board of Directors. The colonists were starving and the Colony had a lot of trouble and needed a cash crop to succeed. They found they could grow tobacco and had a ready market in Europe. They needed more workers. People were kidnapped off the streets in London and taken out of prison and sent here to work. 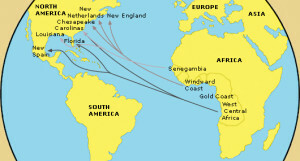 1619: First Africans brought to VA on a Dutch Ship from the Caribbean. They worked under an indentured servants contract where they worked 14 years and then were given some land and their freedom, as were English servants. If they tried to organize they would be hung, so they ran away. When they were recaptured, time was added to their indenture. The Jamestown Corporation decided that the Africans were not English and could not benefit from English Laws like everyone else, so they could not have a contract. The indenture made servants a commodity. English servants were sold with their contract. 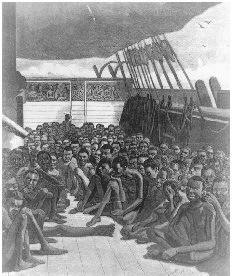 Africans had no contract so their body was sold. Auction Markets were established for African labor. Prices were established. Certain people would bring a certain price creating wealth, which equaled political power and an impetus for more wealth. 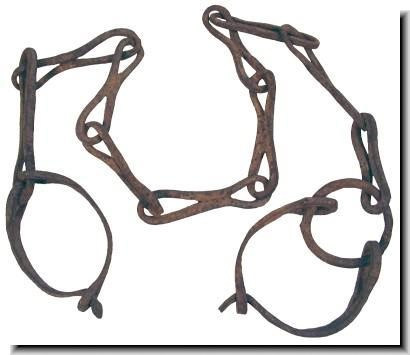 This fueled the Auction Market and these economics pushed slaves into perpetual servitude. In the use of indentured servants, runaways were a problem. Africans could not blend in, so they had nowhere to hide. Map by the National Park Service Ethnography Program. Offspring take on the social status of their mother. The law banned intermarriage between African and English. The Colonial Administration needed to separate the groups because if the child was the offspring of English and African, it likely had a different skin color than the enslaved African parent. That would make it impossible to know whether these children should participate in the colony as citizens or slaves. Human color is a continuum. Between any two people there is someone else whose skin color will be in between them. Only the purity of whiteness can delineate. The structure of society was not being created through a democratic process but through economic and political forces. Bacon wanted to control the colony so he attacked the local indigenous tribe who then attacked the outlaying farmers. The farmers then attacked the Colonial Council for not protecting them. The council called for help and then negotiated in bad faith when they saw the poor English and Africans fighting together. During the next six years they developed a cultural paranoia to codify the laws for slavery. 1690 The first time the English refer to themselves as White in their documents. It took almost a century to construct white as a cultural identity. 1720 Slave-prison type labor system. 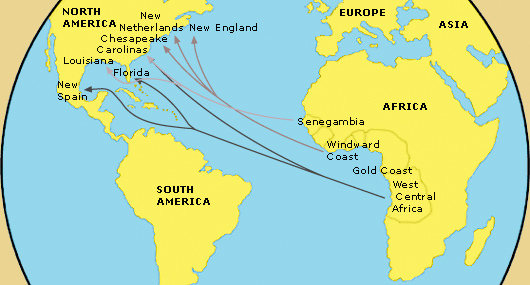 Movement was restricted for Africans. Whites became the Police Dept. for those on their plantation. The slave system grew. 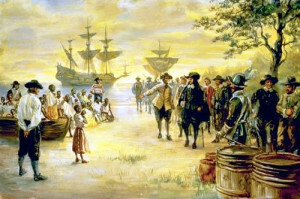 Slaves ran away in mass. Slave patrols of poor whites were formed to control the slaves. The more violent the slave patrols, the more gratitude they were given in the form of inclusion in the colony. Laws had to be established to regulate this violence and these created a racialized control structure to keep the elite in power. That has been replicated throughout modern times. Race is not a noun it is a verb- to racialize. A white person is not born white they are made white. A black person is not born black they are made black. These notes written by Z.
Steve Martinot will be speaking on “The Need to Abolish the Prison System: an Ethical Indictment” in Santa Rosa on Sunday afternoon, March 9, 2014 at the Glaser Center in Santa Rosa.